Most pulse and seeds will sprout. Health food shops have a good selection of ingredients for sprouting. 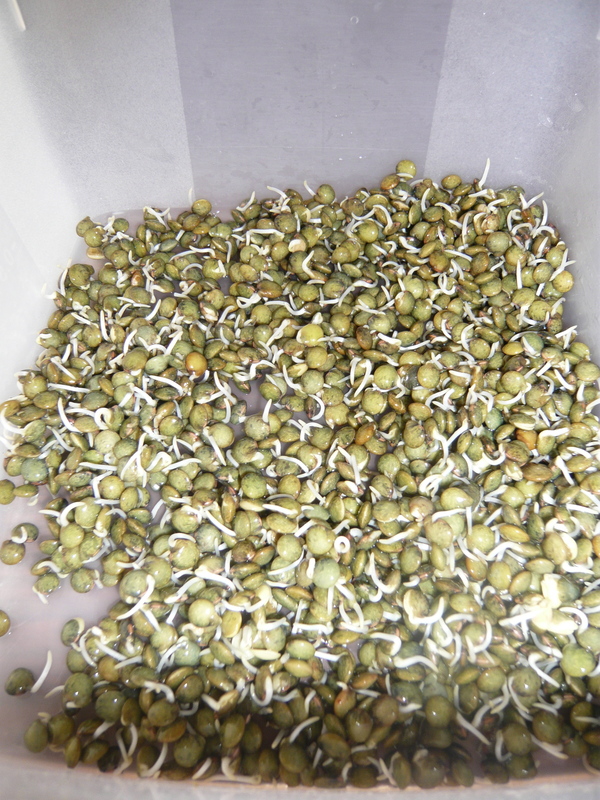 Alfalfa, broccoli, chickpeas, mung-beans (soy), sunflower and pumpkin seeds all sprout well. In this instruction we are using puy lentils. 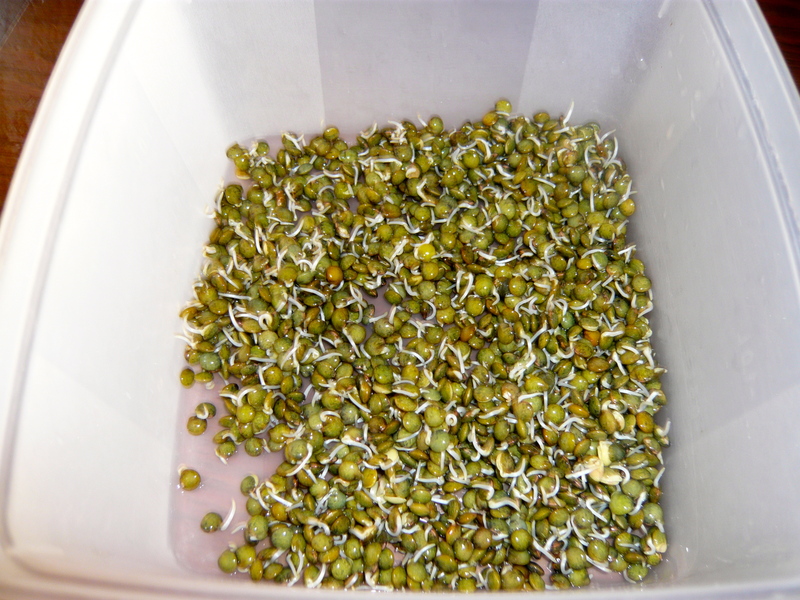 With just a small square sealed container and a sieve you can start learning the sprouting process and try to integrate it into your life. If this interests you will find a lot more elaborate equipment to help you out in health food shops or online. This is really just to show you how straightforward it can be to start. Incorporating sprouted pulses into your diet is a way to avoid the flatulence found in cooked pulses whilst maintaining their benefits in your diet eg fibre intake, protein content as well as vitamins and minerals. You could have two or three different types of sprouts on the go at the same time. In this recipe 100g lentils are used, this will make enough for two or three salads. They keep well for three days in a sealed container. In my experience the pulses from health food shops that are organically certified are in a different league so far as quality goes. The price difference is not so much. 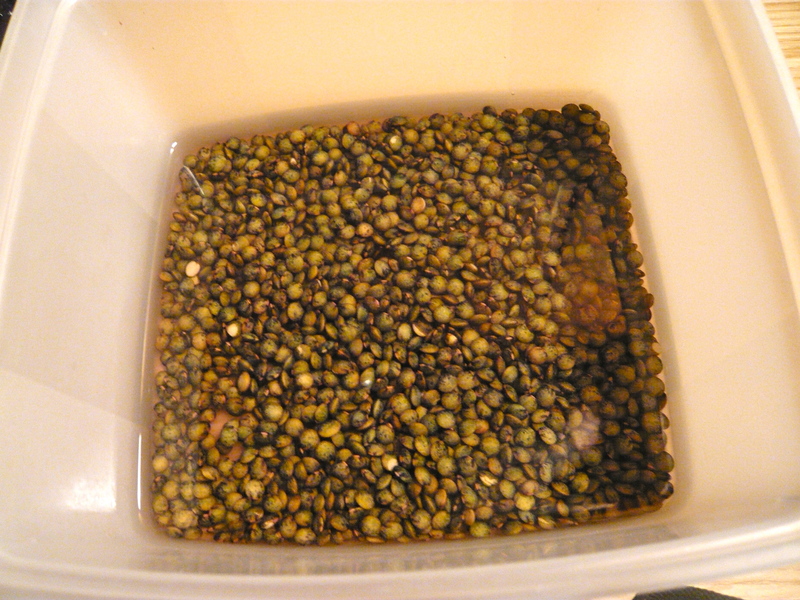 Soak the lentils in enough water to cover them for 3 to 4 hours, in a sealed container. Drain, rinse and put back into the container and cover with kitchen roll. Leave at room temperature. I always advise people to leave them close to the washing-up area so you don’t forget about them. 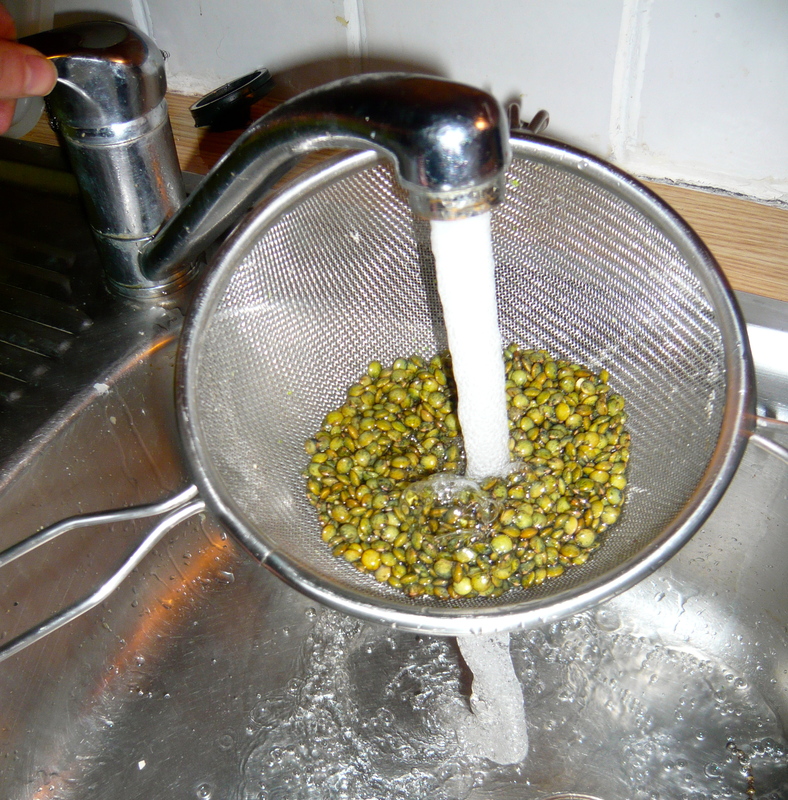 You have to wash the lentils under cold running water twice a day, once in the morning and once in the evening. Use the sieve for this. Always put back into the container and cover with kitchen roll. This process will take three to four days to complete. When ready place in a container with a lid and keep in the fridge. Graze on these, put into salads or use as a garnish on crackers.